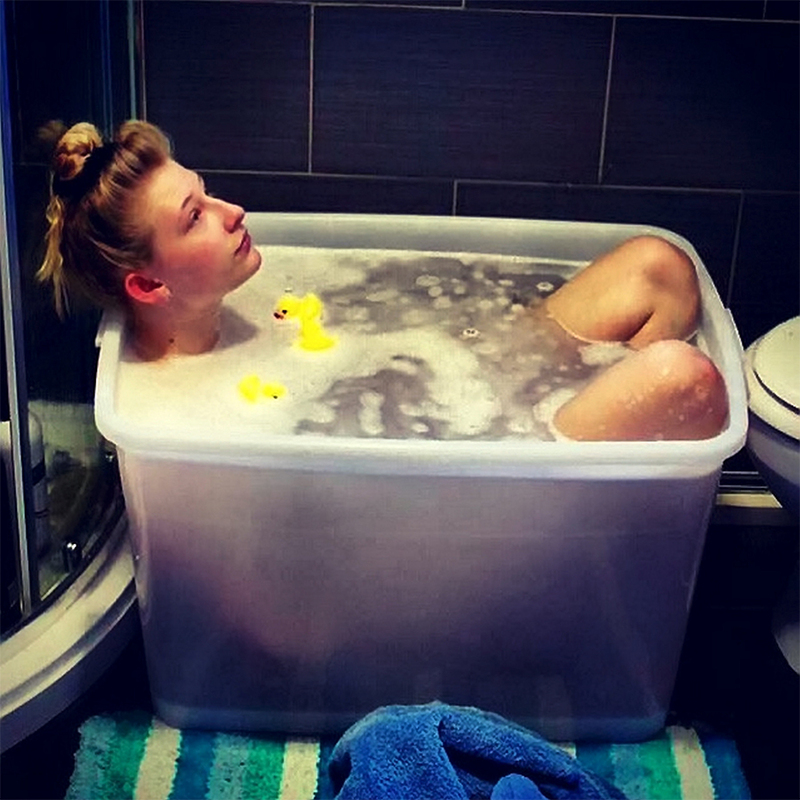 A student who missed having a bath, whilst living in her bath-less student house, has come up with a genius way to take a bath. 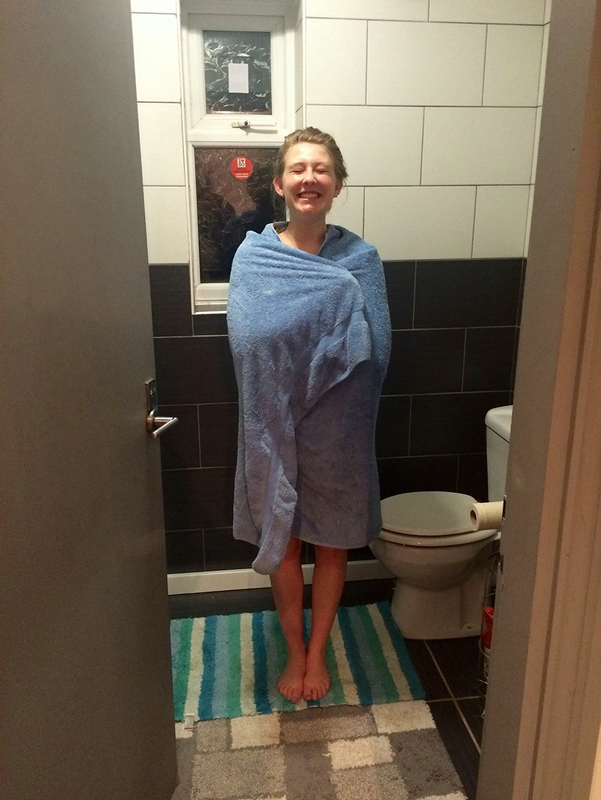 Lucy Lyth, a philosophy student at the University of Birmingham, was sick of living in a house where she couldn't have a bath, just like most students. Unlike most students, however, Lucy decided to do something about it. She immediately bought herself a tiny storage container off Amazon and jammed herself in there with some water. You might expect a philosophy student to sit around questioning why there was no bathtub, or assuring herself that you couldn't really prove the existence of anyone else's bathtub anyway, so you might as well just take showers. Not so for this student. She decided she wanted a bath, and was damn well going to have a bath, even if she had to sit in a 145 litre plastic storage tub. She bought the £24 tub (possibly the cheapest "bathtub" in existence) and now fills it up using the shower nozzle whenever she wants a nice relaxing bath. The only problem comes when her friends try to pack her away. The second year student said that not having a bath was "devastating" to her. She found that most of the student houses in Selly Oak Birmingham all suffered from this devastating lack of baths, and decided to take matters into her own hands. 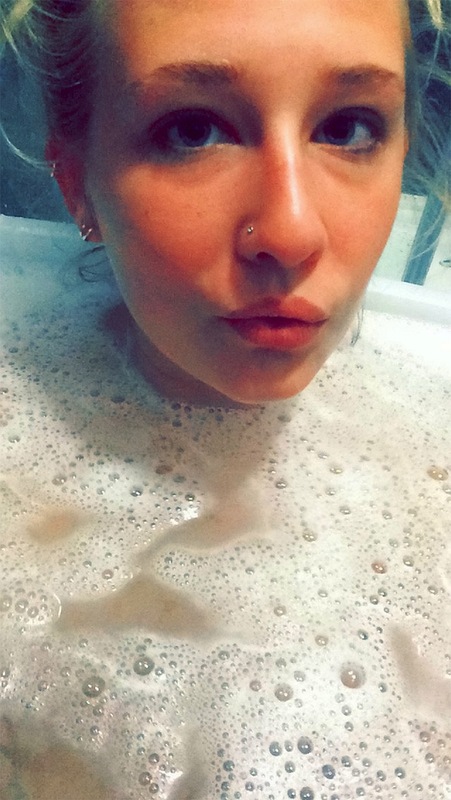 "At home I am lucky enough to have a nice big bath. I have one most nights with candles around the edge and mixing up a range of bath products to overcome those stressful days. "I love baths so much, it's literally awful not having one." She loves them so much, in fact, she's literally willing to sit in a tiny see-through plastic tub without a drain, jammed in the bathroom between the shower and the toilet, with her knees poking out the water. It "does the job" she says. "It was a few weeks into the year and I was craving a bath so much I decided to go and see if any of my friends had one I could use." "One friend did, but because she never uses it, it was dirty and that made me not want to hop in." 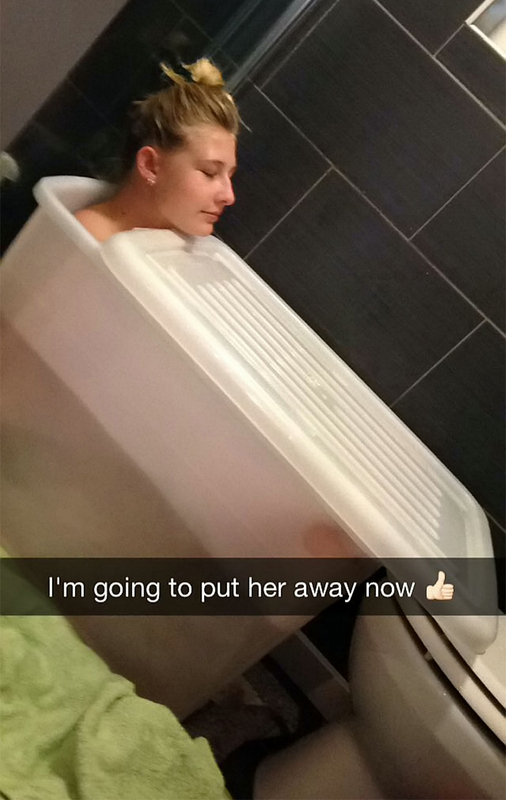 It was then she had the idea that she should get a plastic tub. She joked about it at first to her friends, before realising it wasn't in fact a joke, but a goddamn stroke of genius. "I was just craving it so much I thought I would go for it and get one - and I got a huge tub off Amazon for about £24." The tub, which is only just big enough to fit her, a bit of water, and a limited selection of rubber ducks, is now in regular use - although Lucy said there were a few teething issues. "Obviously there were a few teething issues such as limited room to manoeuvre and a distinct lack of drainage." "But it's nothing a little thinking outside the box, or in this case the tub, couldn't solve." She says the tub is surprisingly relaxing, and prefers it to showers, even though she doesn't have to curl up into a tiny ball when she is in the shower. "It is so comfy I love it - I use it at least twice a week." "I'm really small" she explained. "Just over 5'3", so it's perfectly comfy for me." "I fill it up with bubbles, light some candles, it's amazing." Lucy dreams of one day having a storage container big enough to have a romantic bath, or even a regular tub that has its own taps.